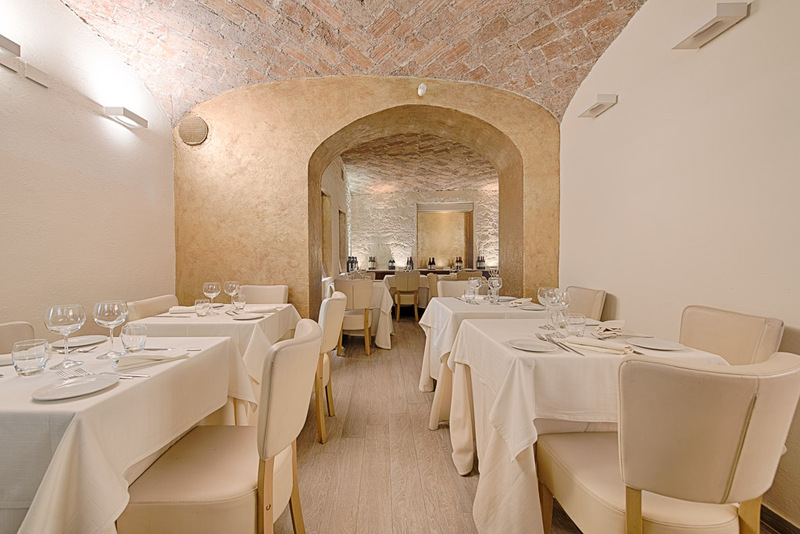 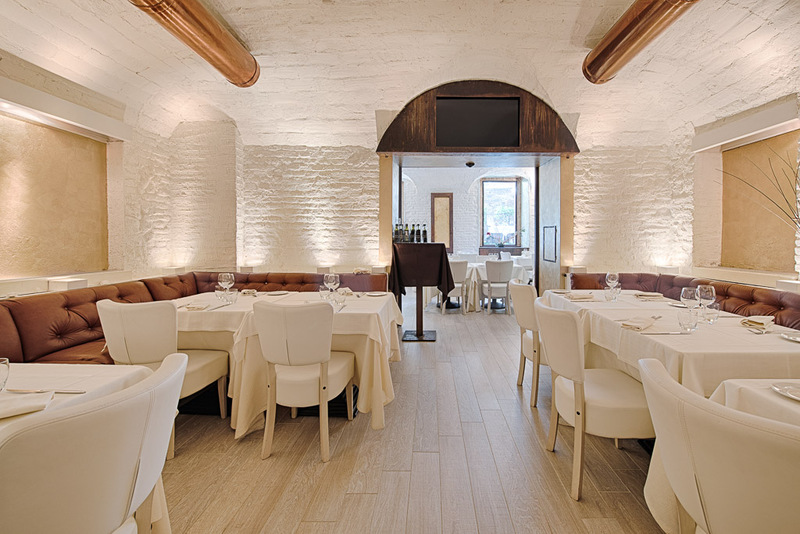 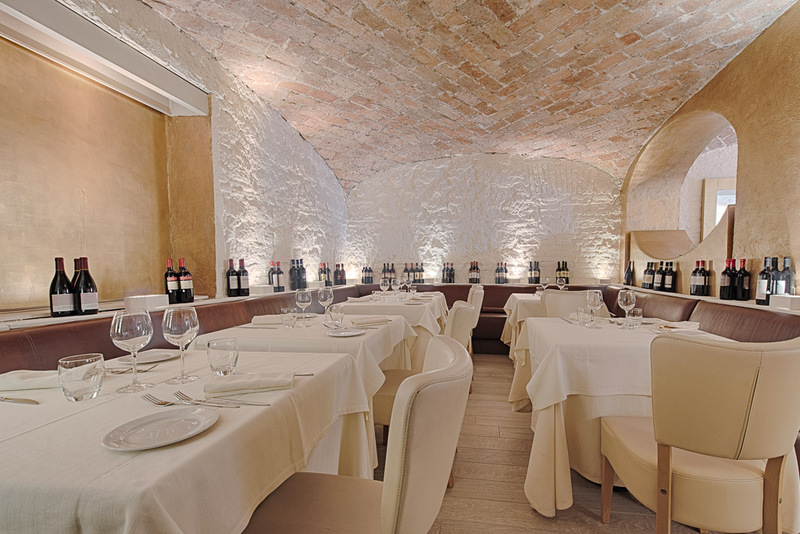 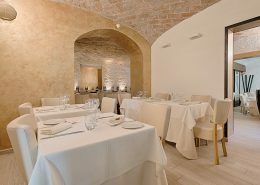 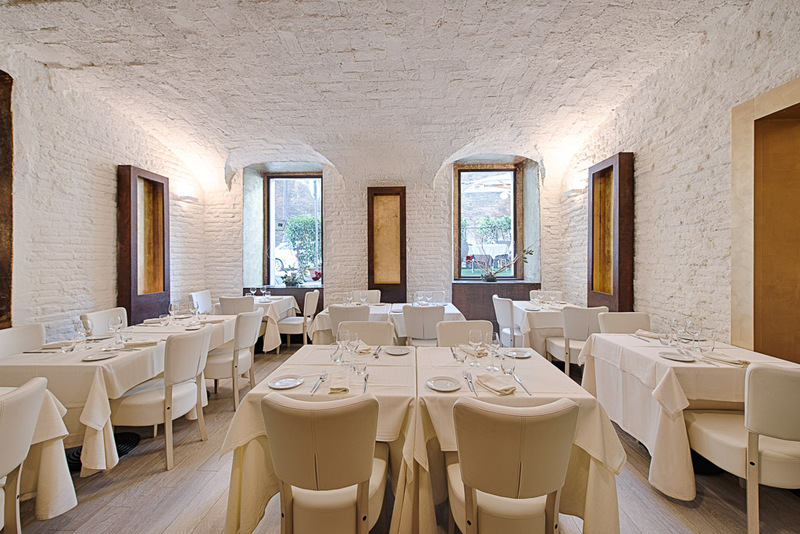 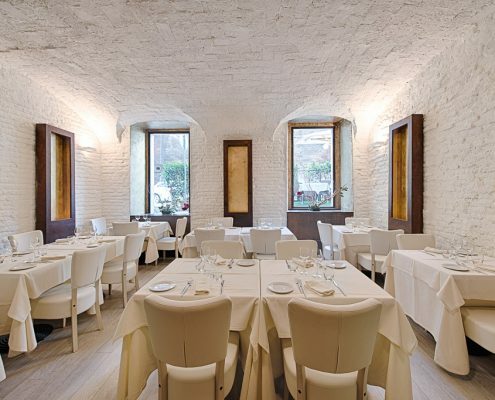 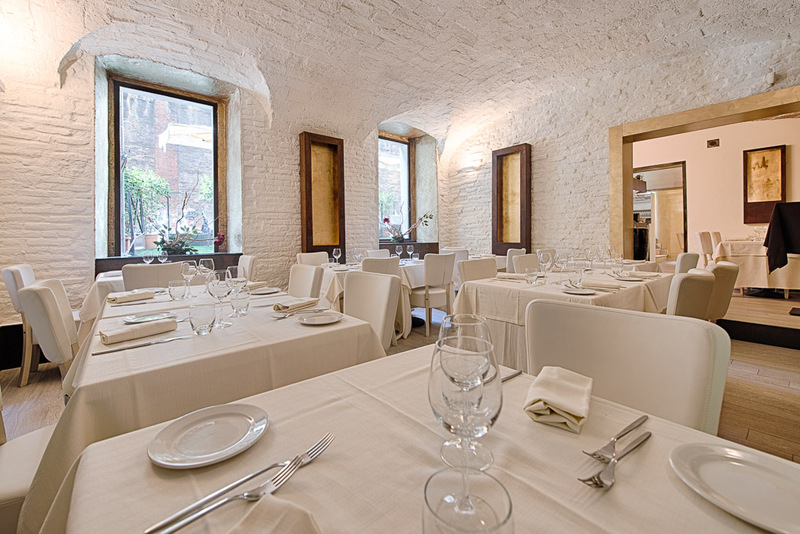 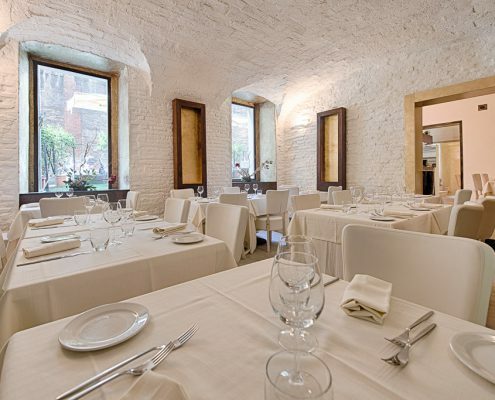 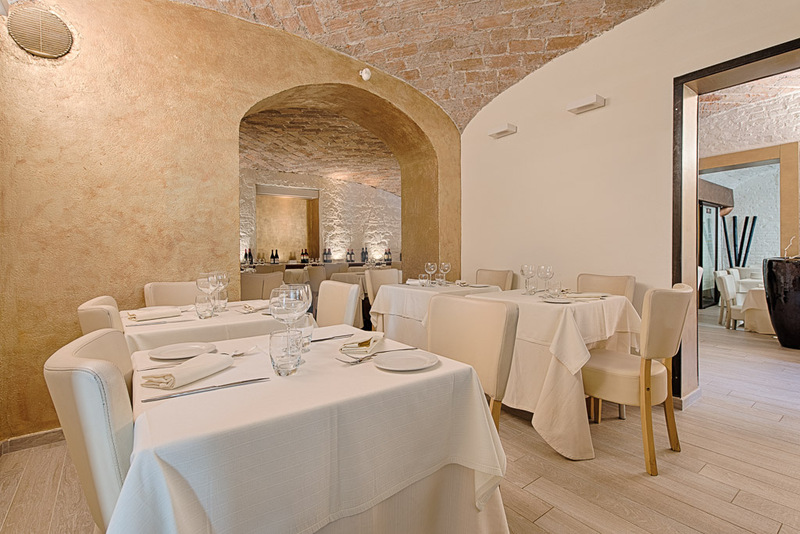 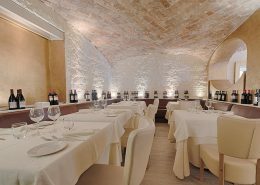 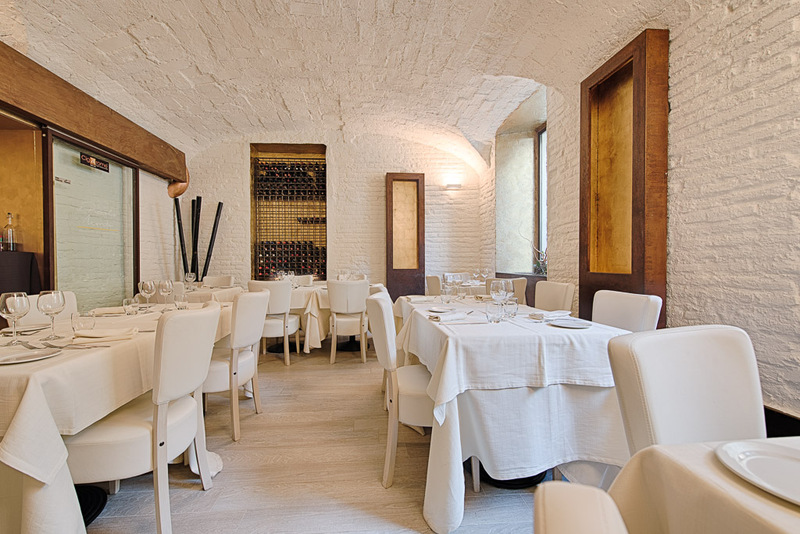 Thanks to both the inner rooms and the outer area, the restaurant can host more than 160 people. 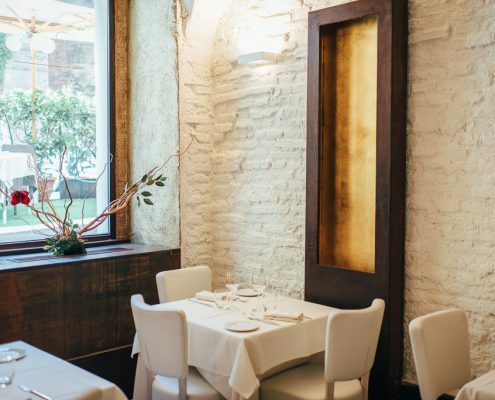 To those with particular privacy needs, we can separate the rooms from the rest of the restaurant. 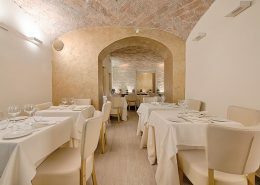 The free WiFi connection covers the whole area, as is the AV system. 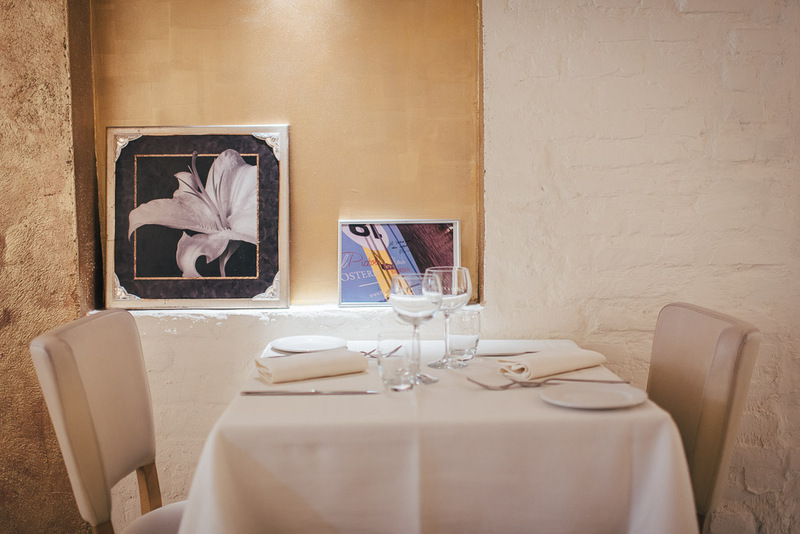 This room is perfect to host company lunches or dinners. 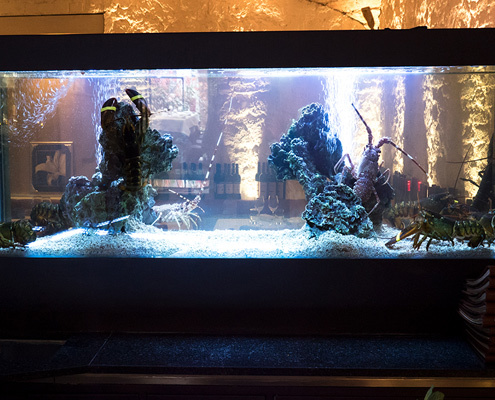 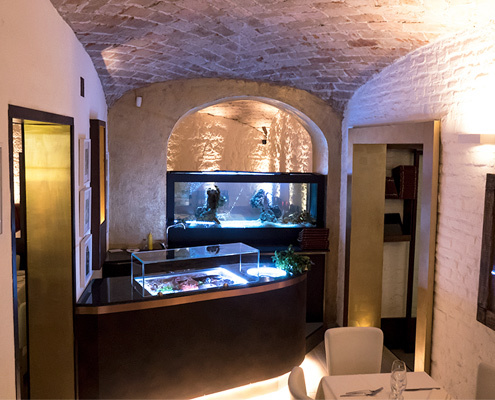 It is equipped with a state of the art aeration system and it is possible to separate the room from the rest of the restaurant to guarantee a higher degree of privacy to those in need. 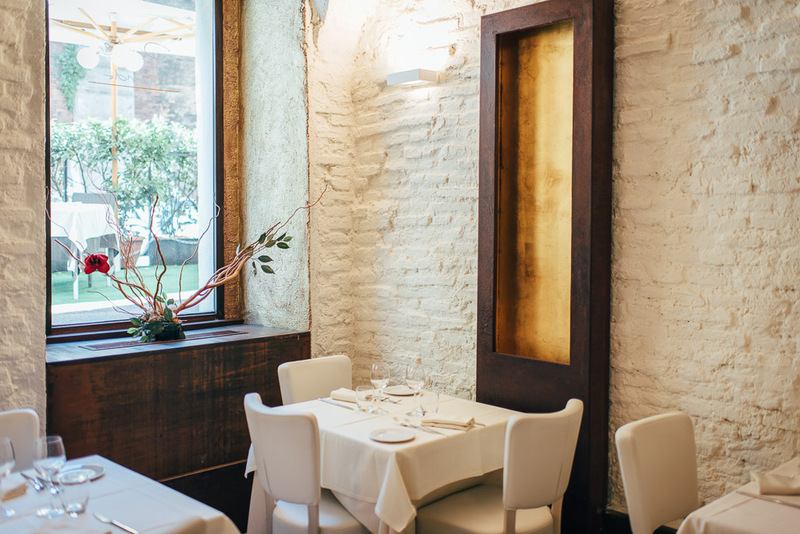 The second room, considering its exposition and capacity, is particularly indicated for hosting graduation parties or private dinners. 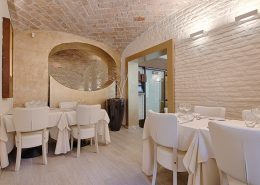 This one is essentially an intimate corner in the heart of the restaurant and many customers request it for romantic dinners. 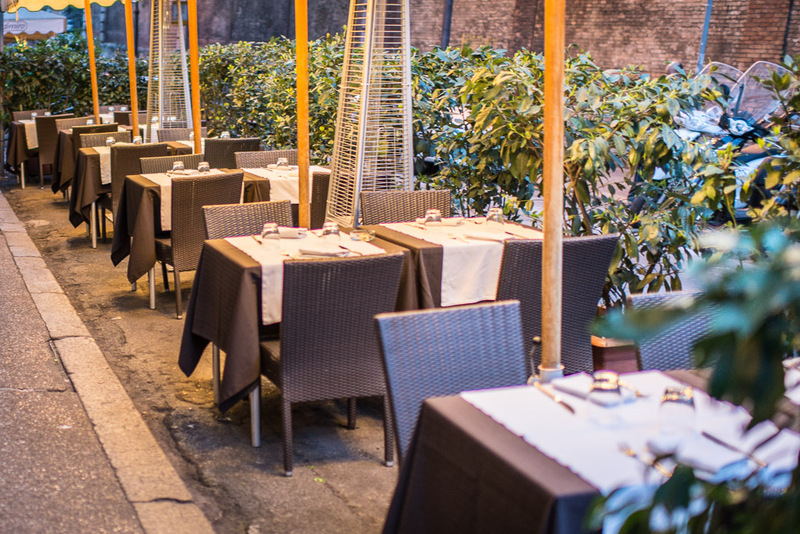 Considering that we are a few steps away from Via Veneto, the spacious outer area can host up to 70 people deserves some attention. 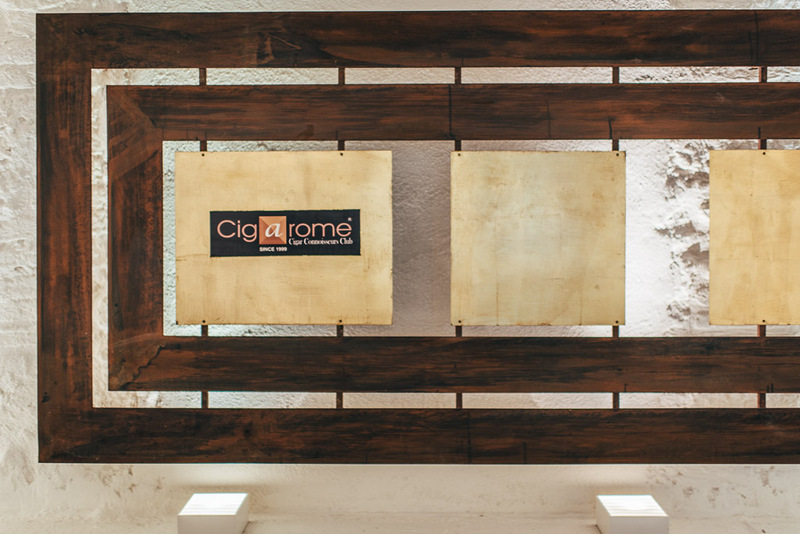 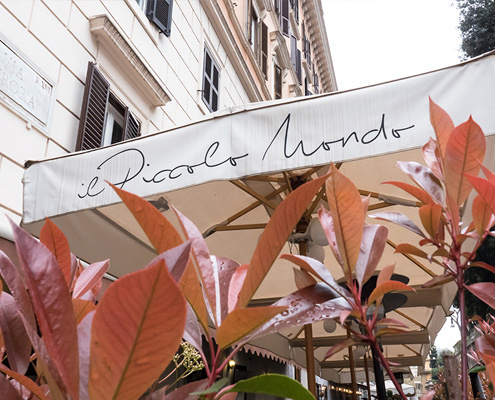 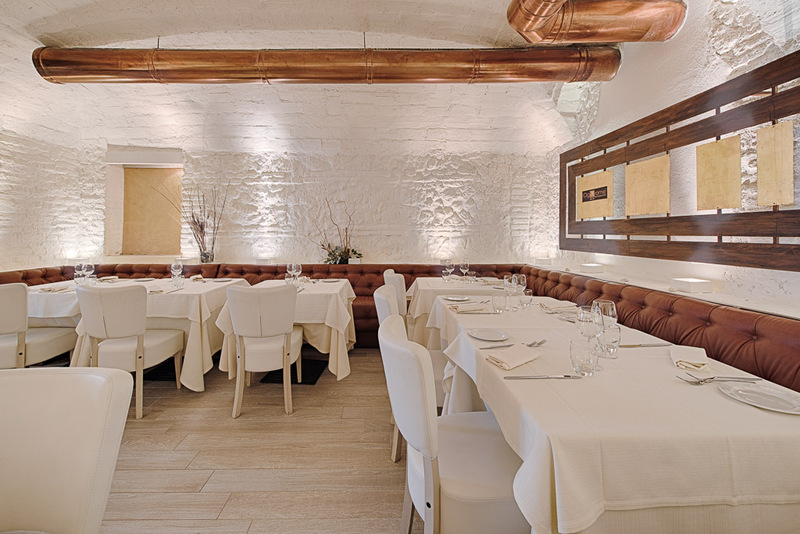 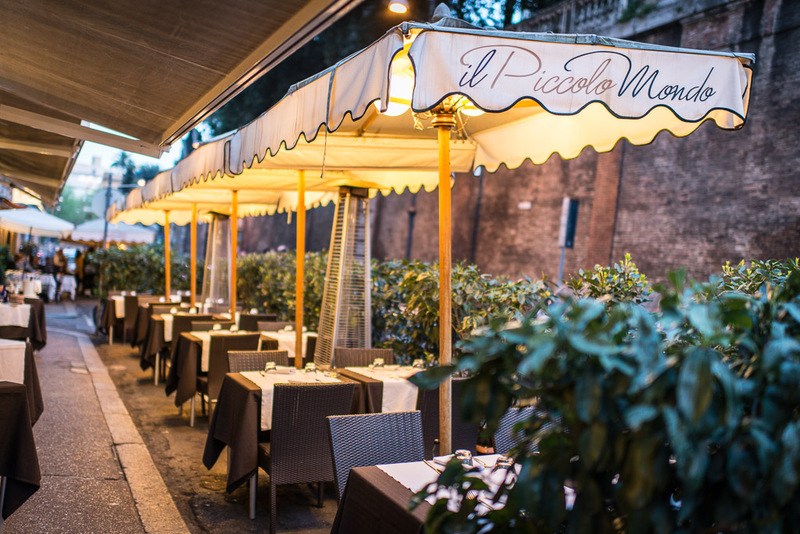 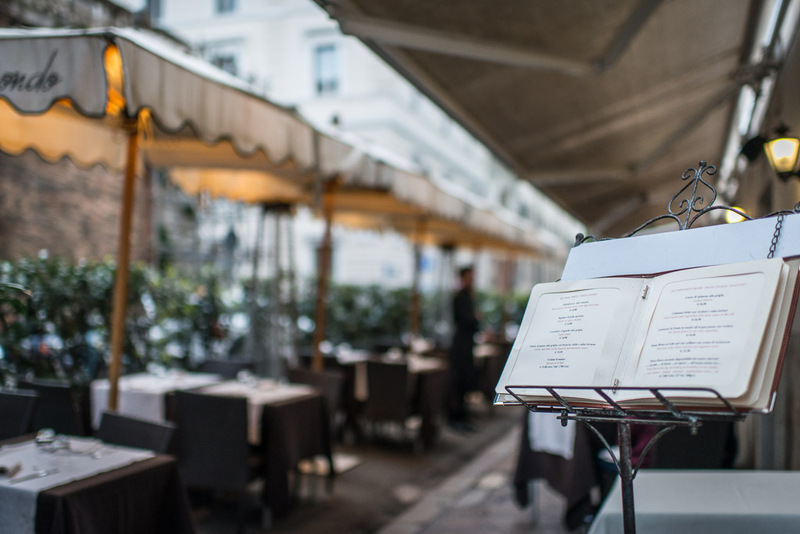 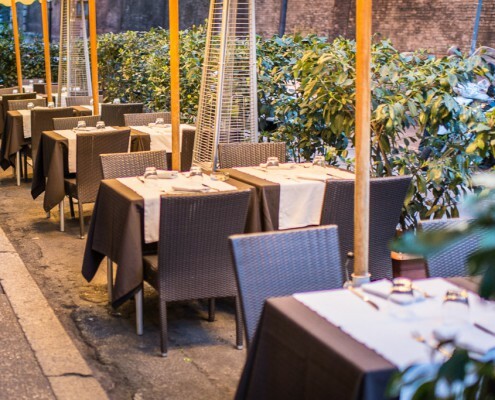 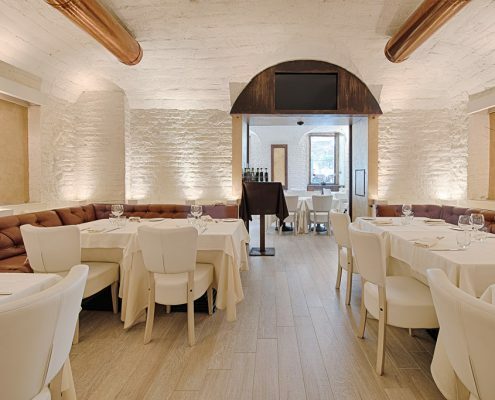 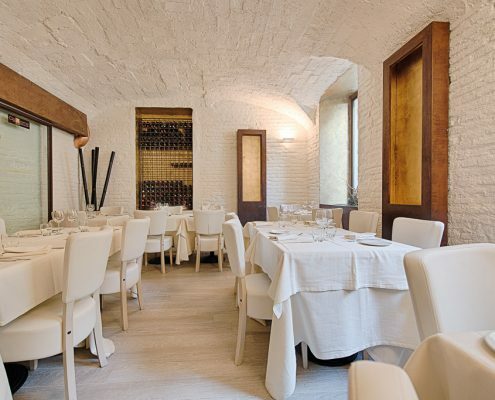 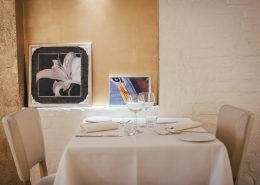 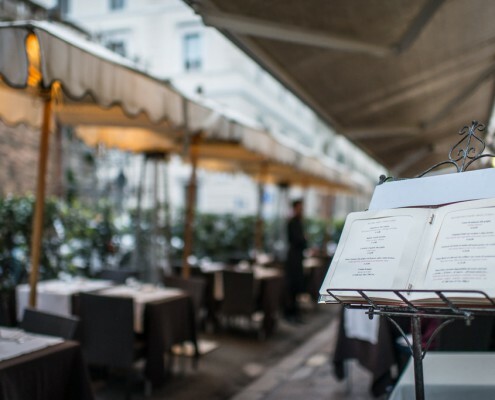 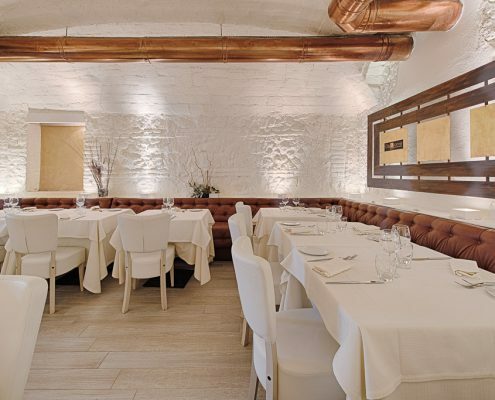 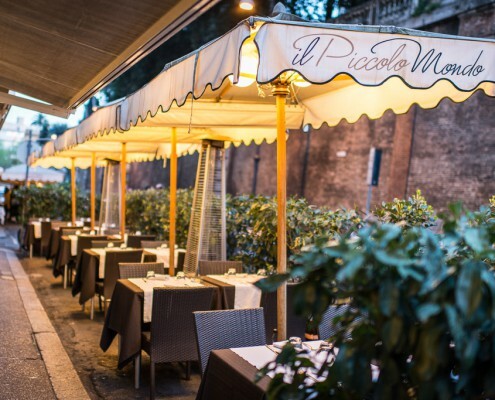 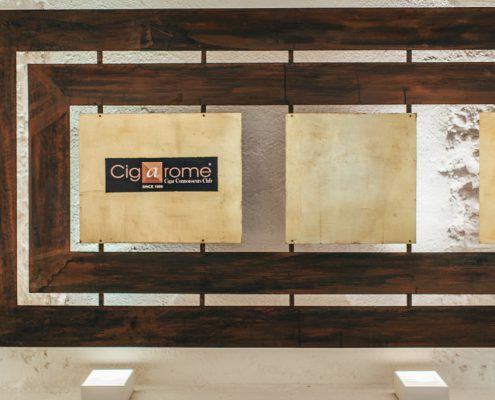 Although we are in the center of Rome, the privileged position in Via Aurora, a bit detached from the adjacent streets, allows you to dine all year round in tranquility and privacy while enjoying the Roman climate, mild for most of the year.